Gum disease or the Periodontal disease is a serious issue when it gets to its advanced stages, and this creates problems for the strength of the teeth standing at their position, and the most common symptom of a severe gum disease is the loosening of the teeth. If the Gum disease is left untreated, it could lead to even the loss of the tooth or infections within the tooth and jaw and sometimes, gum disease and cancer could have related symptoms. The effects of the gum disease are long-term and would even spread to the different parts of the body through the blood stream if the tooth is lost and the bacteria from the infection flows around. Dentists are the best persons to treat the gum disease, but to prevent the problem from happening you could follow at home, so that the gums are kept strong and free from infections. Of course these need to followed along with the general steps of oral hygiene maintenance, but they add more strength to the gums and thus help in longevity of the teeth at their position. Vitamin C intake is very much necessary to maintain the integrity of the gums, and there is a strong link between the deficiency of Vitamin C and the Gum disease. The recommended amount of Vitamin C for daily intake is 60 mg, and this can be recommended up to 120 mg for those who are already suffering from the Gum disease or Periodontitis at any stage. The 120 mg daily intake is generally helpful for those who are undergoing the mouth tissue regeneration process. One of the Vitamic C rich foods include the Citrus fruits, like the Orange, Lemon etc. and apart from that, the sources of Vitamin C include cantaloupe, brussels sprouts, or red peppers. There are even pills and tablets available with the high content of Vitamin C, but it is not advised to take those instead of these fruits and natural sources, because the pills can damage the enamel directly because of the high acid content in them. One of the other proven ways to keep the gums healthy and free from infections is the usage of toothpastes which contain the natural CoEnzyme Q10, and the damaged or diseases gum tissues are found to repair well when someone uses the toothpastes having this product. This is one of the easily available products in the super markets or stores, and you need to just check and purchase the one which doesn’t have any added sugar as this juice would remove all the bacteria that is adhering on the surface of the teeth or gums, and would further prevent any bacteria to attach and attack your oral tissues. The bacterial attacks can be prevented when you drink around 4 ounces of Cranberry juice which is totally natural and doesn’t have any added sugar or other products. This is a gel rather than oil, which is available directly in the form of tubes at stores and pharmacies and this is one of the proven ways to reduce the symptoms of Gum disease. There have been several tests done with patients having gingivitis/periodontitis and they were made to use this gel while toothbrushing, and after a considerable number of days people reported that the bleeding of gums while brushing of the teeth had reduced and even the symptoms of Gingivitis got lessened. There is no need to go search for the tea tree oil to directly use it, as the gel is what you need to use while toothbrushing and that is what works well in maintaining the healthy condition of the gums. Vitamin D is one of the ways to reduce the inflammation and the inflammatory effects caused by the bacteria on the gums. It helps in reducing the chances of gum disease to occur. Studies and researches suggested the association between Vitamin D and gingivitis, and it was found that people with higher blood levels of Vitamin D were less likely to have problems like Bleeding gums. Sun Light during the early mornings is one of the sources of Vitamin D, because its exposure would trigger the synthesis of Vitamin D in the skin. One of the other ways to keep the gums healthy and free from infections and susceptibility of the same, is to keep yourself free from any mental stress. If in some sort of mental stress, one would always see some dental problem not with the teeth but with the soft tissues. 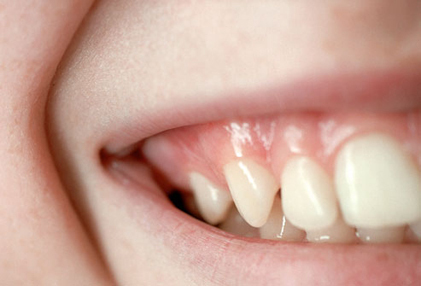 Ulcers are the regular symptoms of stress, but gingival problems too may aggravate from the stress. Apart from the above remedies, the oral hygiene maintenance through flossing (read: Flossing helps in preventing gum disease) can be helpful in maintaining healthy gums. Nice home remedy tips. I do only vitamin c intake and use the toothpaste prescribed by dentist.